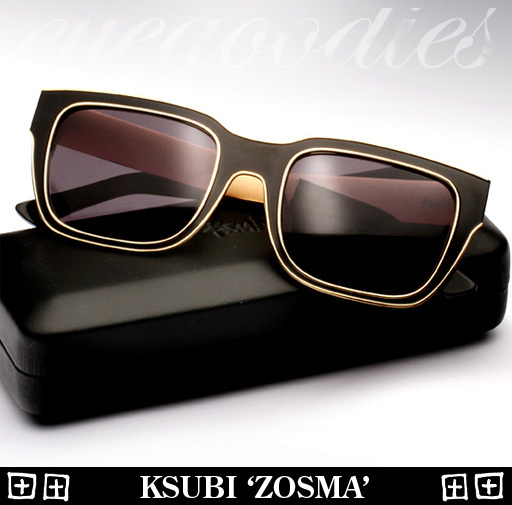 Ksubi Zosma sunglasses, the latest addition to the Ksubi 2011 ‘eye, eye’ collection, are now in stock. Retrospective of the all popular ‘Tiga’ frame, the new Zosma model uses the same shape but streamlines the design giving it an ultra modern feel. The all metal Zosma is highlighted by metallic trim outline and paired with a muted matte interior. Available in 3 colors: jet black interior with gold trim, charcoal interior with silver trim, and burgundy interior with silver trim. 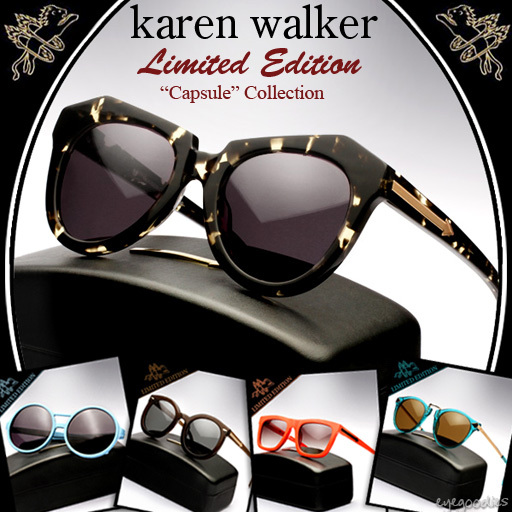 Karen Walker Eyewear releases a limited edition “Capsule Collection”. Now in stock! The collection features 5 of some of their best selling frame styles each with an exclusive color. We see stunning unique color-ways such as: black vintage demi, crystal turquoise, brown grape, fluorescent orange, and powder blue. Be warned, each frame is limited to just 50 pairs released world wide, so once sold out that’s it! 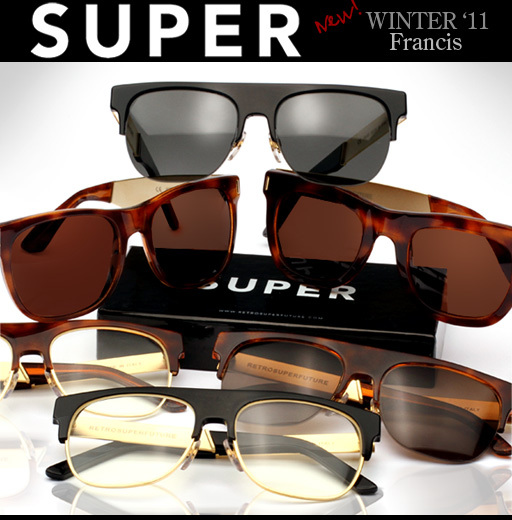 The new Winter 2011 collection of sunglasses from Retro Super Future have arrived. The most notable of the new pieces is the expanded “Francis” series(combination acetate with gold metal temples). The Basic Shape and Ciccio Francis are now offered in havana & gold. Also new to the Francis set is the Andrea model which is available in havana & gold and black & gold in both sunglasses and eyeglasses. The new Francis pieces are a nice rich addition to the lineup.